With the big Halloween holiday right around the corner, many folks across the country are planning their big Halloween bash. Whether you plan on having a small family get-together or plan on going all out with “spooktaculor” decorations and out-of-this-world costumes, keeping little ghosts, ghouls and goblins out of harm’s way is paramount to a safe and happy “howling Howl-ween. According to an ABC7 News report published on Oct. 24, while Halloween is loads of fun for humans, it can be dangerous for our four-legged friends if proper precautions are not taken. If you are an animal lover or pet parent, keep Fido and Fluffy safe this Halloween by following the following pet-safety tips. Sweet Treats – Keep those delicious sweet treats and goodies away from all of your furry friends! Some candy can not only pose a choking hazard, but chocolate and candy containing the artificial sweetener, Xylitol, can be downright dangerous! Please keep them out of reach! Candy Wrappers – Besides keeping candy away from pets, don’t forget the wrappers! Those foil and cellophane wrappers can be dangerous. Glow-in-the-Dark Dangers – While glow sticks and glowing jewels are fun for humans, they pose a risk to pets. Cats and dogs may consider them chew toys and while not life-threatening, they can cause pain and irritation. Food – Pumpkins and corn can cause tummy upset for pets. Very small amounts of grapes or raisins can be fatal. Please keep out of paws reach. Call the ASPCA Animal Poison Control Center at (888) 426-4435 for more information. Decorations – While decorations can be fun for humans, certain decorations may be hazardous for pets. Keep strings, streamers, ribbons, bells, wire, bags, electrical cords, spider webs out of reach. Candles – Keep all burning candles, including burning Jack-o-Lanterns, out of reach of children and pets. Invest in flameless candles – no mess, no worries. Keep Indoors – Keep all your pets inside when trick-or-treaters are outside! If you have a black animal, please do not let him or her outside during the treat-or-treat time! Sadly, some people torture or harm animals during Halloween, especially black cats. If you suspect animal cruelty, please contact your local law enforcement or humane society immediately. Keep Secure – Please keep all pets away from the front door! With the doorbell ringing and the door opening and shutting, all the unusual commotion and unusual costumes and masks may scare your pets. Some may even become aggressive. Keep your pets secured in a safe, quiet area of the home. You sure don’t want Fido or Fluffy bolting out the door! And remember – some children are afraid of pets as well. Costumes – While pets may look downright adorable all decked out in Halloween garb, dressing your cat or dog up in costumes may cause undue stress and harm for him or her. Plus, some pet costumes may restrict an animal’s breathing, movement, vision and/or hearing and may also pose a choking hazard. Make sure he or she is always supervised when wearing a costume. Instead of dressing Fido or Fluffy up in a traditional costume, why not consider a more creative approach – a temporary tattoo? While some may consider this controversial, using a safe, non-toxic pen to draw cute pumpkins, paw prints, spiders, etc on fur can be an alternative to dressing pets up in cumbersome costumes. Identification – Make sure all your pets have proper identification and/or microchips. Just in case Fido or Fluffy bolts out the front door, one of the best ways to ensure they will be returned to you is to make sure they are wearing collars, up-to-date tags or are micro-chipped. Baby, It’s Dark (and Cold and Rainy) Outside – If you and Fido are going out-and-about on Halloween, you not only want to be able to see, but want to make sure others can see you, too. Practice safety first – wear protective tape and carry flashlights. The immune system is sometimes called “the great protector.” The word immune comes from the Latin word “immunis,” which means “free” or “exempt.” Your pet is immune if he or she is protected against a specific disease by inoculation or as a result of innate or acquired resistance. The immune system is comprised of a diffuse, complex network of interacting cells, cell products, and cell-forming tissues that protect the body from pathogens and other foreign substances, destroy infected and malignant cells, and remove cellular debris. The immune system includes the thymus, spleen, lymph nodes and lymph tissue, stem cells, white blood cells, antibodies, and lymphokines. Lymphokines are a subset of cytokines produced by a type of immune cell called a lymphocyte. The job of the immune system is to respond appropriately to infectious agents from the outside world. An appropriate response is when the immune system mounts a defense against an outside challenge without destroying the body. This requires that the immune system knows the difference between its “self” (your pet’s body) and the foreign invader. Every cell and organ system in your pet’s body has its own mechanisms of immunity, and each also has some sort of interdependent, inner regulator. Recent studies show that an animal’s emotions have a tremendous effect on immunity, both positive and negative. Environmental influences including noises, odors, light patterns, and environmental pollutants can also dramatically affect the immune system. While Western medicine views the immune system as individual pieces separate from the whole, from a holistic point of view, the most important aspect of the immune system as a whole is that each individual component of immunity is interconnected and that all the parts of the system are in constant communication with all of the other parts. This is the inner communication that is the focus when we take a holistic approach to a pet’s wellness. While Western medicine focuses on just one component of a disease, the goal of a holistic approach is to integrate all of the components of the immune system to bring them back into balance. Actually, balance is the key word. I always stress the importance of a balanced immune system, because an imbalance in either direction – meaning the immune system is either underactive or overactive – will ultimately lead to disease in the body. There are many ways normal immune function can be disturbed or suppressed. Many diseases, especially those created by viruses, can directly attack the cells of the immune system. They can also be subtler in their assault, slowly invading one or more components of the immune system, decreasing its overall effectiveness. Chronic, long-term, and unavoidable stress will, over time, overwhelm the ability of the immune system to respond, which makes the animal more susceptible to disease. Interestingly, short-term moderate stress has been shown to enhance the immune response. Short episodes of stress that work the immune “muscles” to make them stronger can actually prepare the animal’s body to respond appropriately to challenges such as infections or injuries. Antibiotics can, on one hand, assist the immune system by killing off pathogenic bacteria. But at the same time, they also destroy much of the protective mechanisms by killing off the friendly bacteria that live in an animal’s gut, on his skin, and in other parts of the body. Corticosteroids such as prednisone are often used to suppress a hyperactive immune system response, but overuse or long-term use of these drugs can actually render the immune system unable to function at all. Vaccines stimulate the immune system so that it will be ready to mount an attack at some later time against a specific disease. But vaccines can also over-stimulate the immune system to the point of anaphylaxis, which is a life-threatening adverse reaction. More often, repeated vaccinations exceed the immunological threshold of some animals, resulting in autoimmune disease (also called immune-mediated disease), where the animal’s immune system becomes confused and attacks itself. Most holistic veterinarians believe that just about every disease an animal acquires is directly linked to an immune system imbalance of some kind. Anaphylaxis, which is called a Type I reaction, describes any acute, systemic, and hyperactive immune response to triggers such as an insect bite, a vaccine, drugs, food, or less often, blood products during a transfusion. Other immune-mediated diseases, called Type II reactions, involve the production of antibodies against the cells of the animal’s own body. In other words, the immune system doesn’t recognize its “self.” It can be difficult to know what triggers an autoimmune response, but it is often related to the administration of drugs or vaccines, as well as environmental toxins. Two of the most common Type II autoimmune diseases are autoimmune hemolytic anemia (AIHA) and autoimmune thrombocytopenia. Myasthenia gravis is another immune-mediated disease in which the body attacks its own muscle cells. Type III autoimmune reactions occur when an animal’s body produces antibodies that interfere with the normal function of different areas of the body. Examples include canine rheumatoid arthritis, systemic lupus erythematosus (SLE), and a kidney disease call glomerulonephritis. Type IV reactions involve cell-mediated components of the immune system, and include contact sensitivity, autoimmune thyroid disease, and keratoconjunctivitis sicca (dry eye). These are all examples of hyperactive immune system responses. At the other end of the spectrum is the hypoactive (underactive) immune system response, which can be caused by a viral infection, a genetic disorder such as IgA deficiency, poor nutrition, and a stressful or toxic environment. A healthy immune system is a balanced immune system, and there are a number of things you can do as a pet owner to maintain your dog’s or cat’s immune health. Exercise has direct benefits for your pet’s immune system. When your dog or cat works her muscles, it helps cleanse the body of toxins and keeps the lymphatic system working well. Massage increases lymphocyte numbers and enhances their function. Massaging your pet also relaxes her, which is good for her emotional health and therefore, her immune health. Keeping your pet at an ideal body weight is also very important. A species-appropriate diet will help manage inflammatory responses, which in turn will improve your dog’s or cat’s immune function. The more antioxidants you can offer your pet through whole food nutrition, the better. This is impossible to do if you’re feeding an entirely processed diet in the form of dry or canned pet food. Animals have very high antioxidant requirements, and you really have only two options for meeting those requirements. You can either provide a synthetic vitamin and mineral supplement (which is how processed pet food manufacturers do it), or you can provide whole food nutrition. To be vibrantly healthy, animals need lots of unprocessed, living, and fresh foods to meet their antioxidant requirements, which include vitamin A, all the B vitamins, vitamins C and E, zinc, selenium, and vitamin D. Fresh meats and organs, herbs, and organic, non-genetically modified (GM) vegetables are excellent natural sources of the vitamins and antioxidants your pet needs for a balanced, healthy immune system. Reducing the amount of chemicals that are in, on, and around your pet is also important for maintaining a functional immune system. It’s my belief that the toxins in an animal’s immediate environment play a huge role in creating immune system dysfunction. Offering fluoride- and chlorine-free water is very important, as is toxin-free air. Minimizing vaccines and topical pesticides found in flea and tick preventives is also important. Avoiding all sources of environmental toxins is nearly impossible, so putting together a detox protocol for your dog or cat is a good idea. Holistic veterinarians have long recognized the importance of a balanced immune system. They have lots of tools to help re-balance an underactive or overactive immune system. My recommendation is to try to partner with a vet who prioritizes the health of your dog’s or cat’s immune system. Harris County residents, now is the time to vote and support Proposition 3. Harris County’s Proposition 3 specifically designates $24 million for a new Veterinary Public Health Adoption and Care Center. The current facility was built almost 30 years ago and is in need of upgrades. The current facility handles approximately 25,000 animals per year, far more than it was intended to handle. Harris County residents have the opportunity during early voting October 19 through November 2 and at the polls November 3 to improve and save more lives of companion animals in their community. Funds from Prop 3 would allow renovation of the current building and allow the construction of three newer structures to house an adoption center, a holding area and a quarantine area for sick animals. This renovation would be a huge victory for Harris County animals by increasing kennel space by five times the current amount, decreasing euthanasia, and allowing more animals to find their new loving homes through adoption. All Harris County residents, please get out and vote! Spread the word to your fellow residents to support Prop 3, which will help better the lives of Harris County animals! Together, we can Save Them All®! October is Breast Cancer Awareness Month. Many pet owners may not be aware that dogs and cats can also get breast cancer, referred to as mammary cancer. Although it is rarer in cats, 25 percent of all unspayed female dogs will develop mammary tumors, according to the American College of Veterinary Surgeons (ACVS). Fortunately, mammary cancer is easy to prevent – and it’s another reason why spaying or neutering your pet is so important. Mammary cancer rarely occurs in male dogs or in female dogs and cats that have been spayed. Mammary tumors, on the other hand, are the most common type of tumors found in female dogs that were never spayed or were spayed after the age of two. The dog breeds most at risk for mammary cancer, according to the ACVS, are poodles, dachshunds and spaniels. For cats, it’s Siamese or other Oriental breeds, and domestic short hairs. Young dogs that are obese also have a higher risk. Mammary tumors can be small and benign, or large growths that can spread to the lungs. About half of the ones found in dogs are cancerous, which is comparable to the ratio of malignant breast tumors found in women. 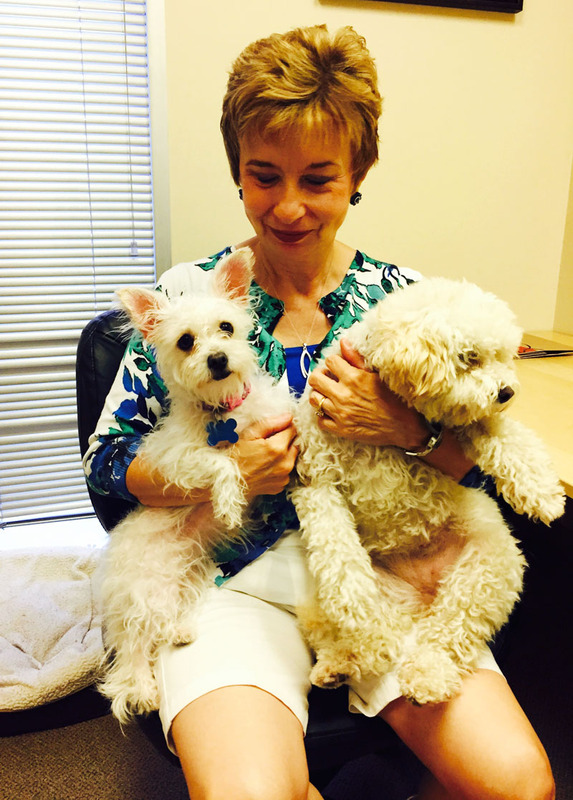 Mammary cancer in dogs is rarely fatal. But for cats, about 85 percent of tumors are malignant, and they tend to be more aggressive and spread more quickly through the cat’s body. As with breast cancer, mammary cancer can often be successfully treated if it’s detected early. Just like performing a monthly breast exam, pet owners can regularly check their dogs and cats for any suspicious new lumps or growths by palpating the mammary glands. If you see or feel anything out of the ordinary, you should immediately take your pet to a veterinarian. As with other types of canine and feline cancers, veterinarians usually diagnose mammary cancer on the basis of the pet’s medical history and a physical exam. According to the ACVS, your vet may want to run additional tests, such as X-rays, blood tests and ultrasounds to confirm the diagnosis. A biopsy of the mammary tissue is usually necessary to help determine if the tumor is malignant. Unless the dog or cat is very old, surgical removal of the tumor is usually recommended. If surgery on malignant tumors is performed early enough, the cancer can be completely eradicated in half of the cases. For cats, the local lymph node may also be removed to see if the cancer is spreading. Chemotherapy is not usually successful in treating mammary cancer, so it is not widely used. “For most mammary tumors in cats and dogs, hormonal therapy, immunotherapy and radiation therapy have either not been investigated or aren’t beneficial,” adds the ACVS. While dogs may live for several years after surgery, the prognosis for cats is not as positive, according to the ACVS. Depending on the size and spread of the mammary tumor, cats may live from just a few months to a few years after surgery. who have since been adopted and are now K-9 Angels alums. Bring your best friend to Strut Your Mutt: Enjoy a leisurely fundraising dog walk with (or without) your dog, followed by a doggie-themed festival that includes pet contests, photos, doggie goodies, fun activities for you and your furry friend, food, refreshments and more, all for a great cause – helping homeless pets. with foster dog Leilani, who recently found her forever home. One local team you can consider joining is K-9 Angels Rescue, a dog rescue group located in the West U area, which has saved more than 2,200 dogs from shelters and from the streets since early 2012. K-9 Angels is an all-breed, all-condition rescue group and the money they raise will be used to continue to grow their adoptions programs and spay/neuter services. K-9 Angels is particularly close to my heart, since that’s where my husband and I adopted our sweet pup, Yogi, from just about a year ago. and Caroline on the right (now named Jingle by her adoptive family). These pups were found in a backyard after a fire burned down their house. See information about joining K-9 Angels Strut Your Mutt team. Last year, K-9 Angels raised more than $68,000, coming in second in overall fundraised among all of the Houston rescues that participated. Plus, learn more about becoming a foster. 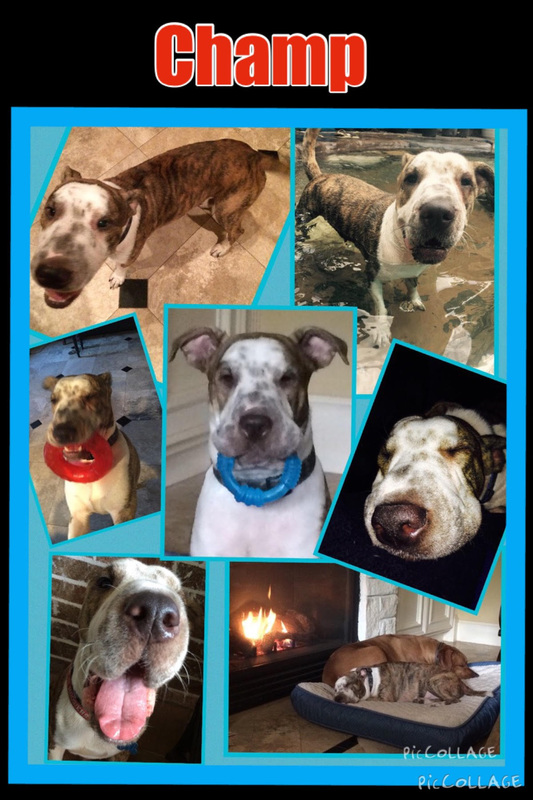 K-9 Angels is a 100 percent volunteer and foster-run nonprofit and they’re always seeking additional foster homes to be able to save more dogs. All K-9 Angels dogs stay with foster homes during the week and are available for adoption every Saturday and Sunday at 5533 Weslayan (next to Chuck-E-Cheese). Hey Houston, 7 days ’till Strut Your Mutt !! The time is finally upon us for Strut Your Mutt in Houston. Next Saturday, October 17, is the big day and now’s the time to have your pet help you pick out a snazzy strutting ensemble, if you haven’t done so already. As long as it’s got some of their fur on it, we’re sure they’ll approve. Online registration for the event closes at noon next Friday, October 16. Check-in and on-site registration will open at 9 a.m. and the walk starts at 10:00 a.m. at Moody Park. And remember, the festival doesn’t wrap up until 2 p.m. That’s because we’ve got a fabulous lineup of sponsors, exhibitors and activity booths waiting for you at the finish line. Rescue runway: Watch some fashionable adoptable pets strut their stuff. Pet-owner-look-alike contest: Do you and your pup look like the perfect pair? Agility training: Enjoy some exciting demos with Happy Hounds Training Center. We will have raffle drawings and fundraising awards. Enjoy treat stations full of dog goodies, sponsored by Nature’s Variety Instinct. Partake in food concessions full of human goodies. There will be plenty of music to party down to, and so much more! Our event sponsor, BOBS from Skechers, will be hosting fun photo opportunities and prize giveaways at its booth, including a chance to win a pair of BOBS shoes. Remember to bring a couple of gently used T-shirts with you as well so you can participate in their do-it-yourself dog rope toy building activity. Your pup will appreciate it! 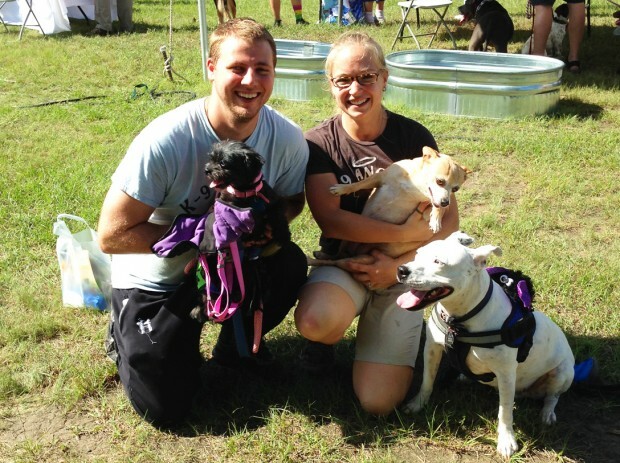 Last year’s Strut Your Mutt produced a whole lot of swag and wag! Some 1,200 people and their 800 dogs strutted to raise nearly $285,000, with approximately $248,000 of it staying in Houston to help local homeless pets. Think you can make this year even bigger and better? 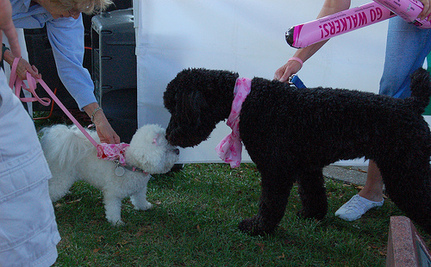 Then get ready for Best Friends Animal Society’s third annual Strut Your Mutt in Houston. Interested in being an exhibitor at the Houston Strut Your Mutt? Click here to apply! Booths start at $275. Interested in volunteering? Please contact: bfvolcoord@bestfriends.org. Finally, make sure to say hello to the incredible No More Homeless Pets Network partners whose lifesaving work in your community is being supported through Strut Your Mutt. Click here to see all of this year’s participating Network partners. What more is there to say? Well, maybe this: Thank you. Thank you for joining us for an incredible day of fun, friends and lifesaving magic for animals in Houston. Together, we can Save Them All®. There’s always the Strut Your Mutt Challenge. 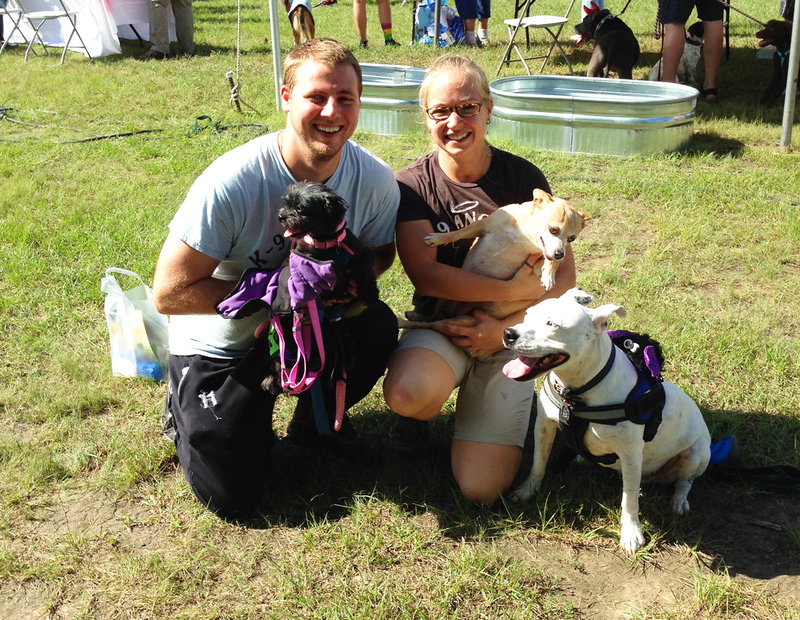 Can’t make it to the live Strut Your Mutt event? No problem. You can still participate and help create positive change for homeless pets in the community by joining the Strut Your Mutt Challenge through November 7. Hi, I’m Champ, formerly “Big Al”. I spent the first year of my life stuck in a cage with little food or water. K-9 Angels rescued me last October, and my parents, who were initially planning to foster me, decided to adopt me instead. When I came home with them I was super skinny and scared of many things, but in time my mom & dad have helped me learn to trust, and my doggy pals Zack & Lili have helped me learn to play. I’m smart and learned all my basic commands in no time. There isn’t a lot I won’t do for a slice of turkey pepperoni, and I’ve gained a much needed 20 lbs.Cuddling is my favorite activity, but I also enjoy long walks on the beach, playing with toys from my toy box, fetching and chasing and running around in my backyard. I’ve even started jumping into the pool with my mom! I think I’m the lucky one, but my parents think that they are! They tell everyone that they’ve won the doggy lottery, because I’m the happiest, most loving, affectionate dog in the world!